Notes: Steamin' Beavers come from healing Movin' Muds. 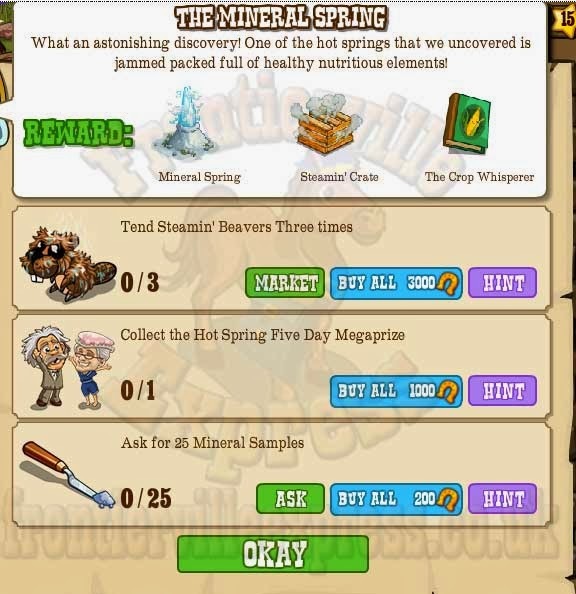 The Hot Spring Daily Bonus increases as you collect it each day, keep collecting for better prizes! Mineral Samples are a Wall Post.